It seems Russia is once again going to have the west fuming as it irons out a missile sale deal with Iran. According to arms firm Almaz-Antey, the political hurdles have been solved and it is time for the final agreement though the possible delivery date is unknown. Russian state arms producer Almaz-Antey announced on Sunday that it will supply Iran with sophisticated S-300 missile system as soon as a commercial agreement is reached. The West in its rush to include Ukraine in its fold has pushed the stick a little too far and the repercussions are there to see. Almaz-Antey chief executive, Yan Novikov, has confirmed that Moscow has removed all restrictions which were put earlier under pressure from the West in 2010. President Vladimir Putin had earlier signed a decree to negate an earlier self imposed ban on the sale of S-300 batteries to Iran. Israel has reacted angrily to the new developments and has expressed its displeasure to Kremlin for giving missiles to a regime which it considers as a threat to its existence. Putin however tried to explain and allay Israel’s fears and said that the missiles were only for defensive purposes and will never be used against Israel. 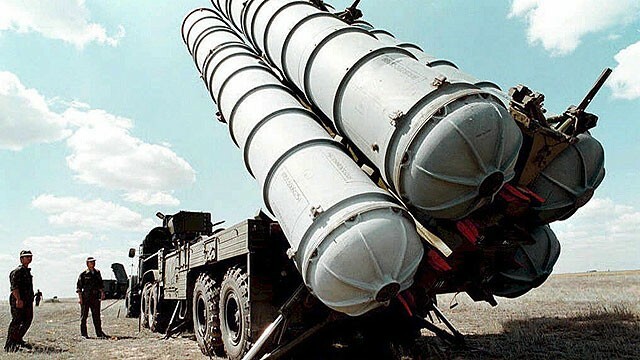 Kremlin also underlined the same rationale when it stated that S-300 with its technical and tactical characteristics will serve only as a defensive rore and pose no threat to Israel. The Russian decision comes at a time when the world power which includes Russia has reached an interim deal with Iran on curtailing its nuclear weapons program.